Subject description: three turret is possible in generals? boat has 3 turret. Turret, AltTurret, Overlord Turret. but Overlord Turret doesn't work. 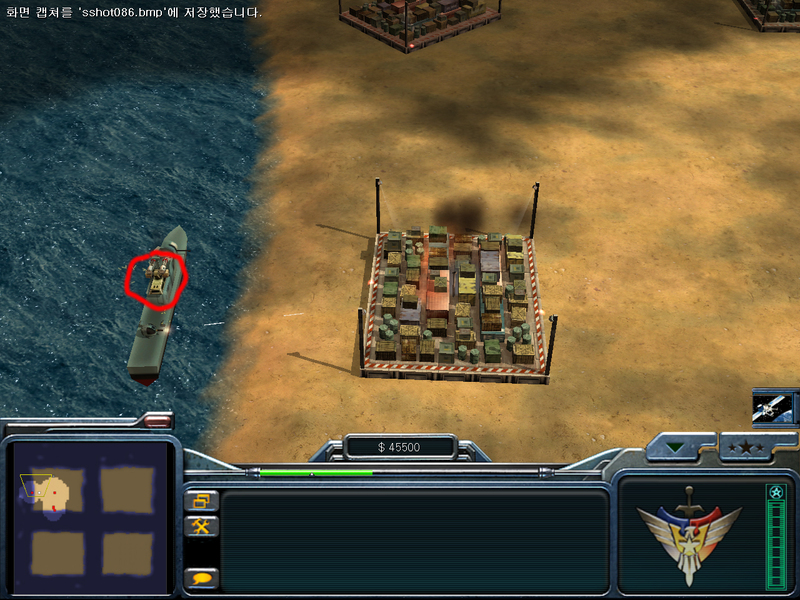 In Screenshot, overlord gattling turret doing fire, but watching wrong place. ;TreadDriveSpeedFraction = 0.3 ; fraction of locomotor speed below which treads stop moving. ;TreadPivotSpeedFraction = 0.6 ; fraction of locomotor speed below which we allow pivoting. ;씨발칸 포신 회전하는걸을 넣어야 하니까 -_-a 레이다는 따로 분리시켰다. ;한 유닛에 애니메이션은 한개만 되니까..
; ;gattling cannon upgrade has been made. DetectionRange = 250 ;Dustin, enable this for independant balancing! CanDetectWhileGarrisoned = No ;Garrisoned means being in a structure that you units can shoot out of. CanDetectWhileContained = No ;Contained means being in a transport or tunnel network. I assume you mean it does fire, but doesn't face the target? Why are these commented out? I assume you did this to test, but without these the Gattling Cannon won't spawn with the vehicle. i hope that someone upload correct ini file.